I’ve gotten to a stage in life where I’m not often surprised anymore. I must admit however that recently I was. Most companies offer warranties on their products. I’ve found, though, with automobiles as an example, that whatever ails your car, despite the expressed warranty, frequently falls outside the provisions of the warranty by way of some exception in the fine print. I recently had the opposite experience. I’ve bought many Taylormade products over the years and never had an issue. Recently I experienced an issue with a 2014 Taylormade SLDR 430 driver. I was not certain if the warranty would cover it so I emailed Taylormade and made an inquiry. 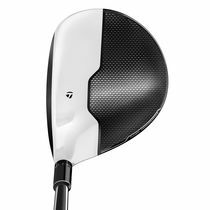 I was advised to take the club to a local retailer and ask them to send to club in to Taylormade so they could examine the club and make an evaluation. So I took the driver to Golftown and explained the situation to them. They forwarded the club to Taylormade. Yesterday I got a call from Golftown to advise me that Taylormade had returned my club. Imagine my surprise when I went to Golftown to pick it up and they handed me a brand new Taylormade M1 430 with a Kurokage 60 gram shaft as the replacement from my SLDR. Now that is what I call a warranty and standing behind your product. Wow!! 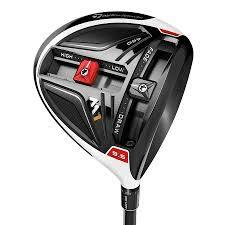 Congratulation on acquiring the Brand New Taylormade M1 Driver as a replacement of damaged one. I wish I could get that Brand New M1 Driver as a replacement of my R11 Diver sitting in the corner of my garage covered with a lot of dust. Anyway would you give me a chance to test drive your M1 some day? I hope you have a great long weekend & good Friday. THANK YOU for giving me a lot of inspiration. How long did the process take to get your replacement? From the time Golf Town sent to club in until the new M1 Arrived was about 3 weeks.